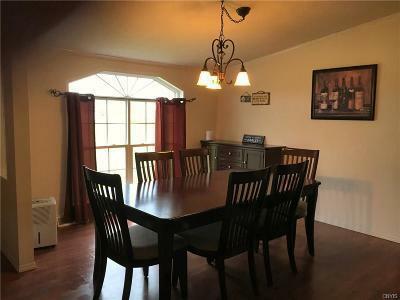 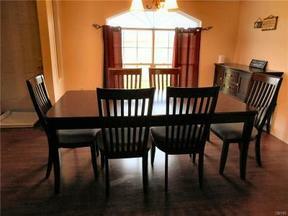 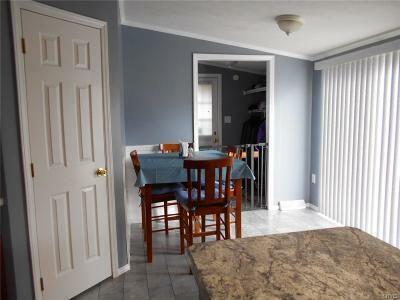 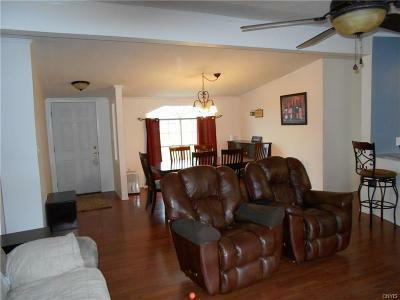 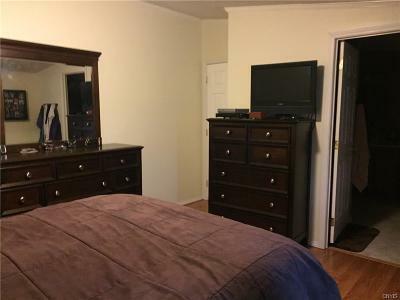 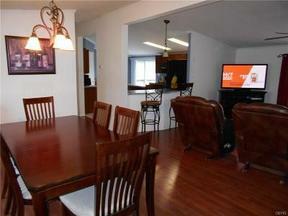 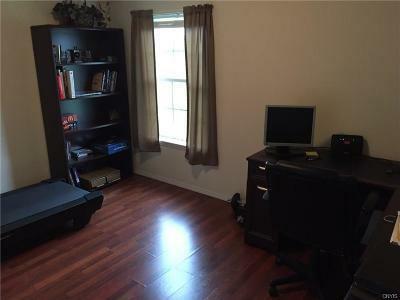 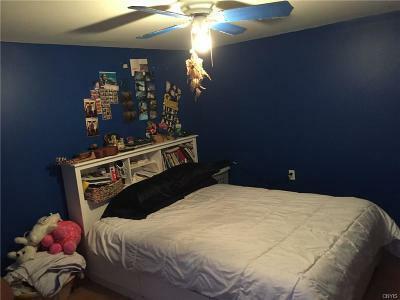 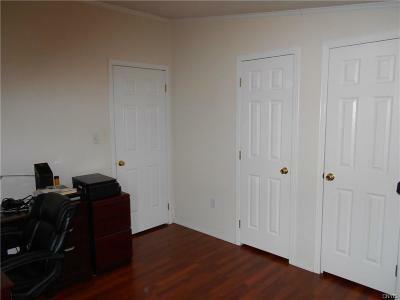 Single Family Home Spacious open floor plan combines living room with the formal dining room. 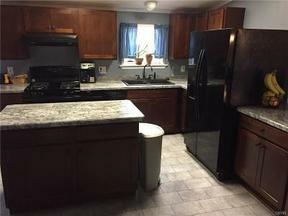 A cooks dream kitchen has been completely remodeled. 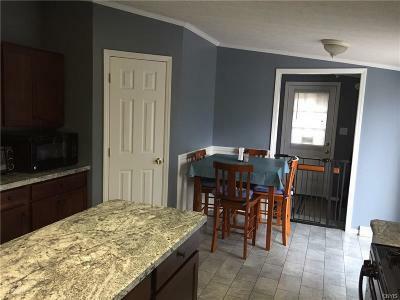 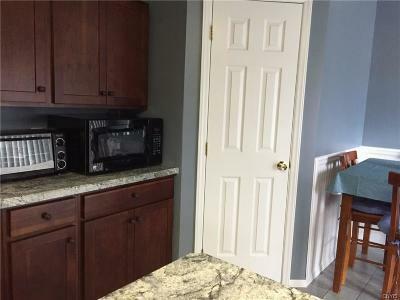 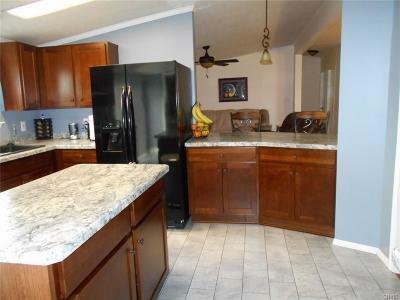 Cherry cupboards, custom counter top, all new appliances, center island, breakfast nook and a large pantry. 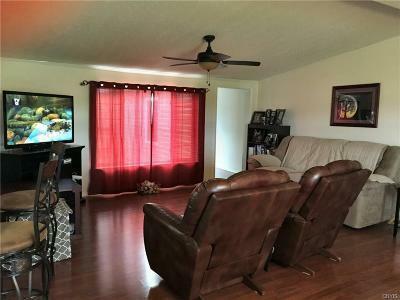 Enjoy backyard entertainment through the sliding patio door onto the 33' x 19' deck w/ above ground pool and private backyard. 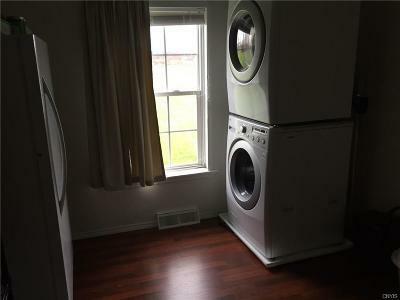 The addition to the original home allows for up to 5 bedrooms (one is currently being used as a laundry room) w/2 full baths. 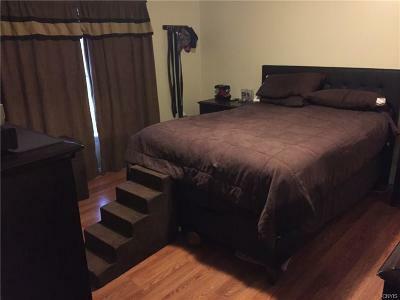 Recent upgrades include all new laminate floors, kitchen, furnace w/central air, upgraded baths, hot water tank, 200 amp electrical service. 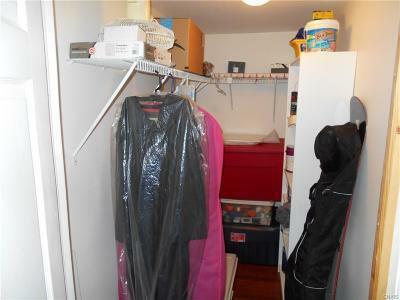 A newer 2 stall garage w/electricity. 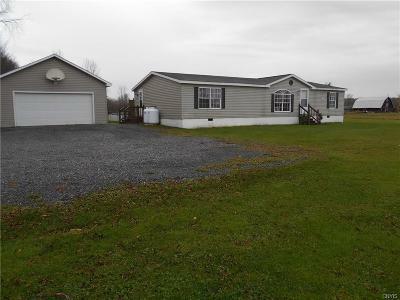 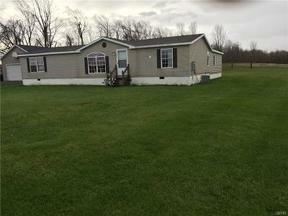 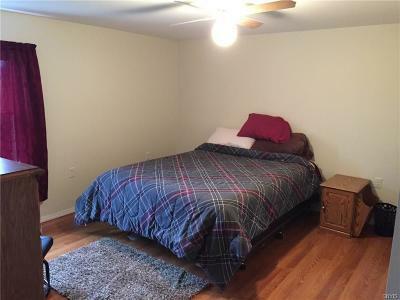 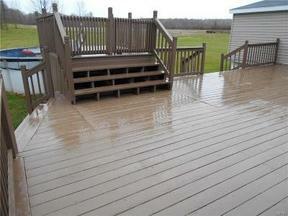 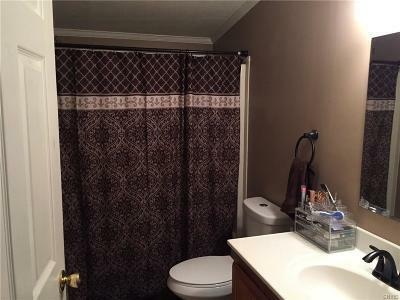 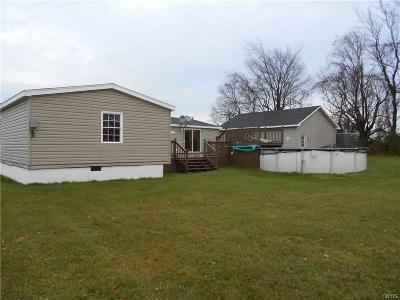 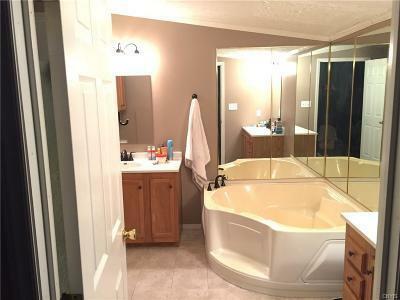 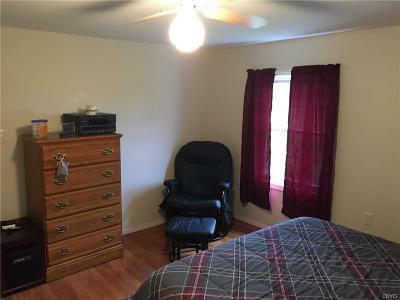 A country setting on 2 acres only 7 miles to Watertown, 8 mi to Carthage and 10 miles to Fort Drum.